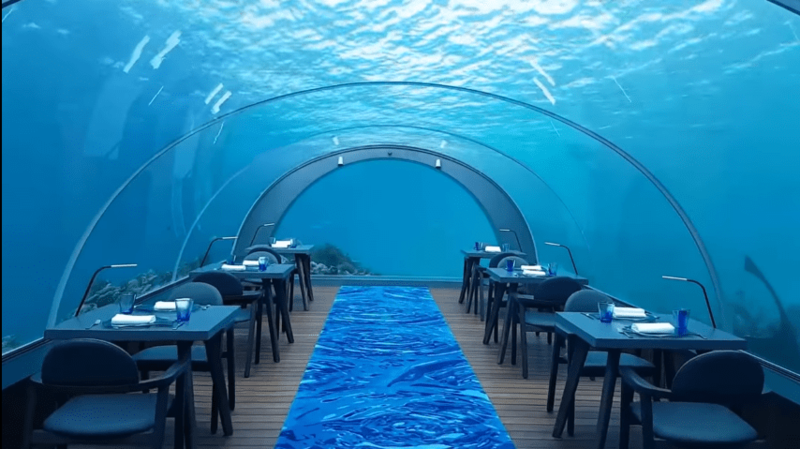 A prime location of Lhaviyani Atoll is now home to world's largest undersea restaurant. The resort is called Hurawalhi Island Resort and there is a fantastic water villa, the resort calls it Ocean Villa. There are four different types of water villas in Hurawalhi. There are beach villas on the island for people who want to be barefooted. 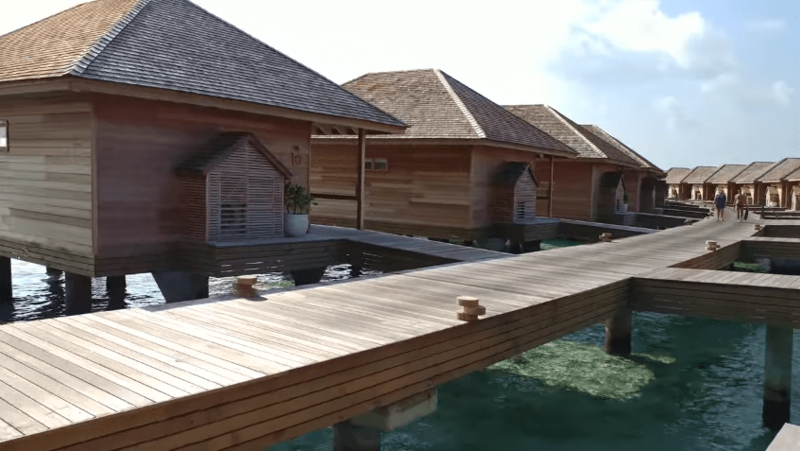 Having said so, I am not saying you can't be barefooted while walking to these water villas. But, I would not recommend that. What I could recommend it to wear a flip flop on the wooden jetties. I am quite convinced that walking here on this jetty barefoot will not be a thing to worry about, it is a brand new property and everything is new here. After few years the wooden plaks in the sun could form tiny splinters and it could end up in your feet. Just a tiny one could keep you troubled all through out the holiday. So, as my golden rule, always wear something on our feet to walk on wooden jetties like this. Wooden floors inside the room are fine to walk bear foot. 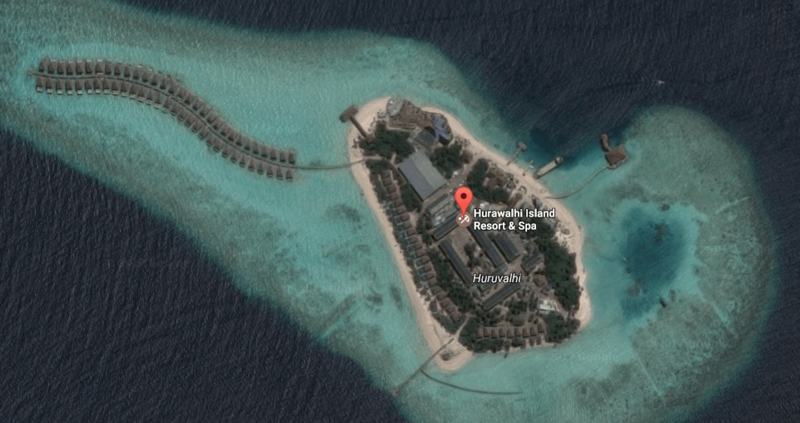 Out of all the water villas at Hurawalhi, my personal preference goes to Ocean Villas and Ocean Pool. Price of sunset side is little bit higher but Maldivian sunsets are truly breath-taking, especially to enjoy in the privacy of your villa with a bottle of champagne would be a fantastic way to say goodbye to your beautiful day. 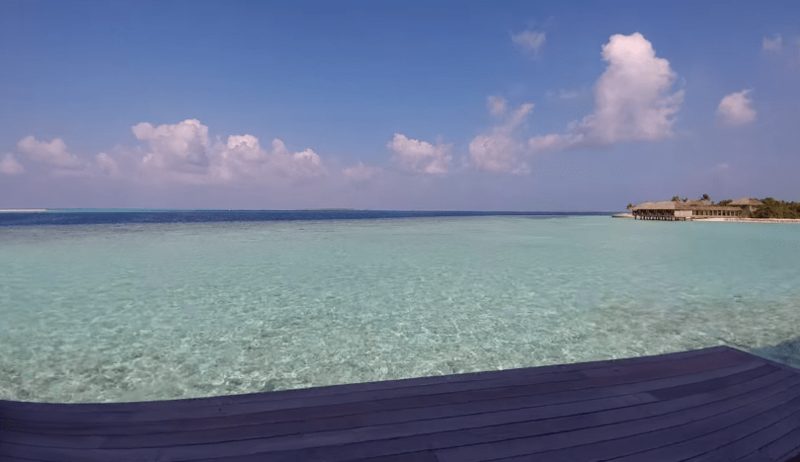 Ocean Villas and Ocean Pool Villas on the northern side gives you view of a sandbank. 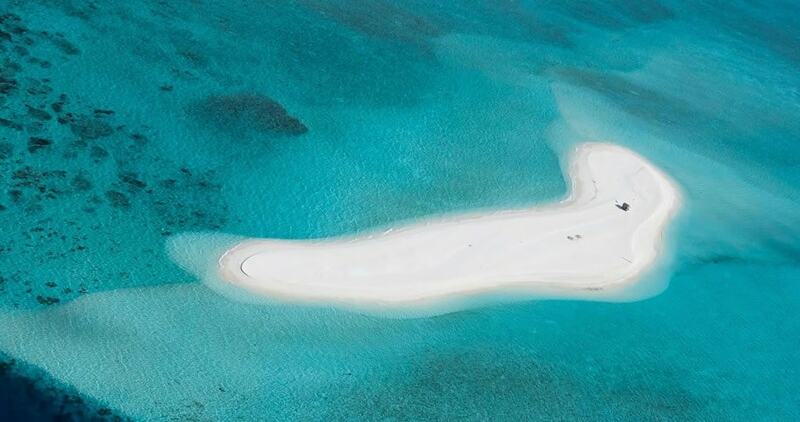 Strikingly beautiful sandbank is not just at your sight, it is actually quite close to you. Do not attempt to swim there, it is little far to swim. 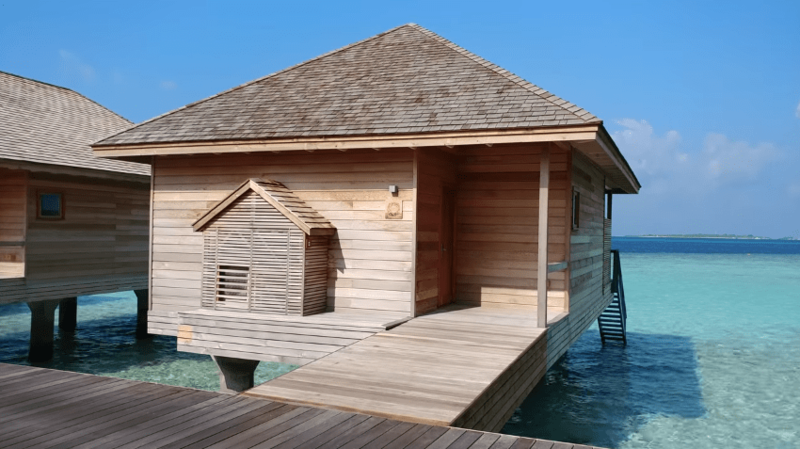 All the water villas at Hurawalhi are individual rooms, no detached or semi-detached exists. It seems David Feinberg, the CEO of the company, strongly emphasizes on what you hear as part of your comfort in the resort. I say, it is good that you don't hear every footstep from next door neighbours. 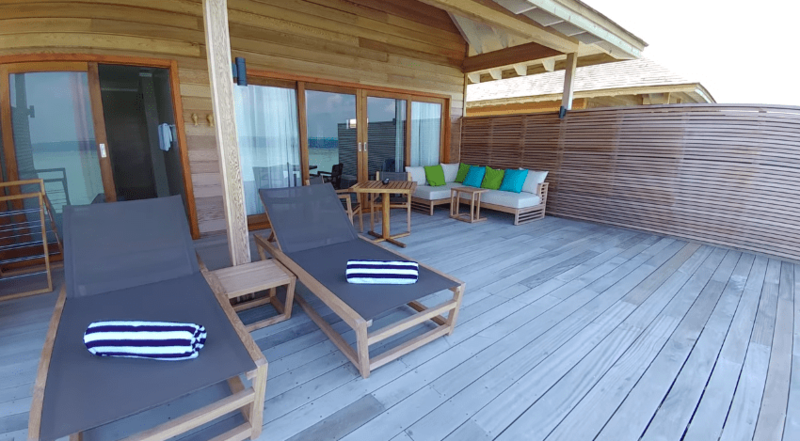 All the overwater villas are largely use wood as basic material. The roof too has wooden shingles. Air-conditioning unit outside the room is nicely concealed with a mini roof of its own. Teak coloured wooden floors with white walls, four poster bed, all adequately lit, makes you content with the resort. Your bed is positioned to face Indian Ocean when you open the doors. In-room amenities such as tea or coffee making facilities are there next to wardrobe. Double vanity bathroom is huge in size, equipped with high quality items of perfect design. Next to rain shower the door opens to veranda deck. Ordinary showers make you face wall, at Hurawalhi you could open the door to catch some fresh breeze of the Indian Ocean. 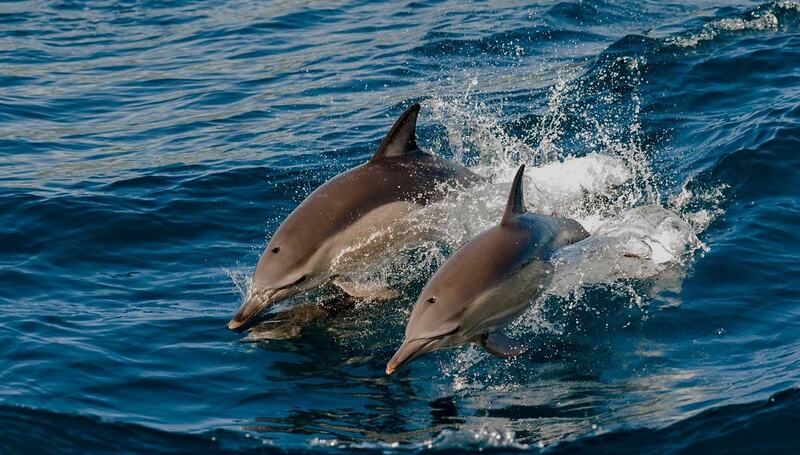 At times there are dolphins passing by, if you are lucky you could be watching dolphins while taking shower. Time is precious, a good portion of everyone's life is spent in bathrooms. 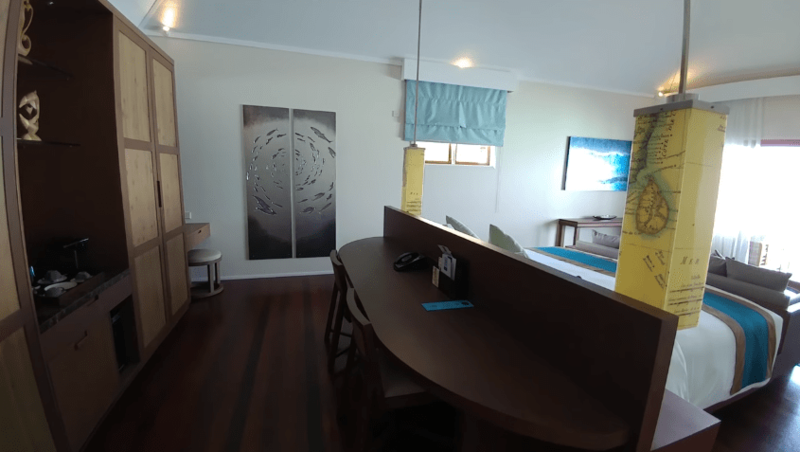 Huralhi takes it a step further, not just by making theirs more pleasant, but also by considering little details while designing these villas. Be careful while opting for dolphin sights, sometimes other guests snorkel at the reef. 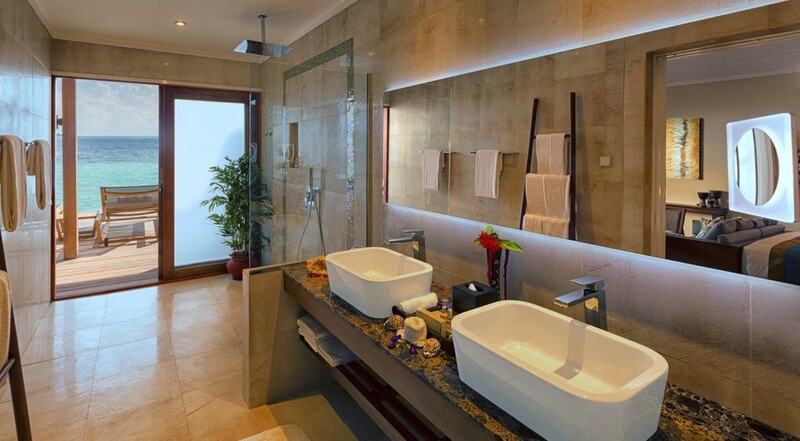 Also guests on sandbank might see you in the bathroom, depending on which room you are staying. Your private veranda is a timeless place to spent time, both in day light and at night. The lagoon is inviting and irresistible at times. To snorkel down the waters you just have to grab your gears and walk down the stairs. After playing with fish, once you are up the second door in bathroom gives direct access for shower without stepping to your bedroom. Loving your room should not stop from visiting the undersea restaurant that sits 5.8 metres below the sea level. There are only 8 tables in this restaurant and fish could come as close as inches from you while you dine on world class seafood menu. If a fish stares at you it may because the fish sees one of it's friend end up on your plate.